Update to enable the Manual Sort Setting to be selected. Update to improve moving of To Do Items between Tasks. Added ability to duplicate tasks from Task Spreadsheet view and Gantt view. Adjusted default Phase text size to make it smaller. Added an "Auto" setting for Phase text size which will adjust automatically according to the Dynamic Type setting. Update to support the new Files app and document browser in iOS 11. Drag and Drop support in iOS 11. Re-order tasks when manual sort is enabled. Drag and Drop multiple tasks at a time to change status, phase and resource. Drag tasks to other applications as text. Updated and additional settings added. New Gantt Technology with enhanced touch interface. 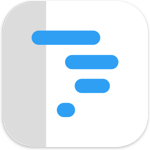 New touch interface to edit and inspect tasks in place on the Gantt chart. Change duration, dates, status, flag, % complete, resources, parent links, to do items. Touch resize controls allow adjustment of task duration using a drag gesture. Pinch to zoom horizontally to change time scale. Pinch to zoom vertically to change text size and row height. Expand and Collapse Phase Sections. New adjustable scale control to adjust time scale with a horizontal slider. New settings to adjust Gantt appearance, including transparency, start end dates, text strikethrough. New options for the task properties that can be displayed to the right of the bar. New touch interface to edit and inspect tasks in place on the spreadsheet allowing changes to project to be updated much faster. Task Edit UI enhanced with more control over task durations allowing exact time and units to be set easily. Added 'Elapsed Time' and 'Work Time' display options for displaying duration information. 'Work Time' durations are displayed inside [square brackets]. The suffix 'E' is not longer used to denote 'Elapsed Time'. Due/Overdue filter now allows completed tasks to be displayed - dependent upon "Show Completed Tasks" setting. Updated Dashboard UI with better display on all screen sizes. Bug Fix importing files from iCloud. Updated Resource Display in Spreadsheet View - tap Resource to start editing. Added option to use iCloud from app start screen.